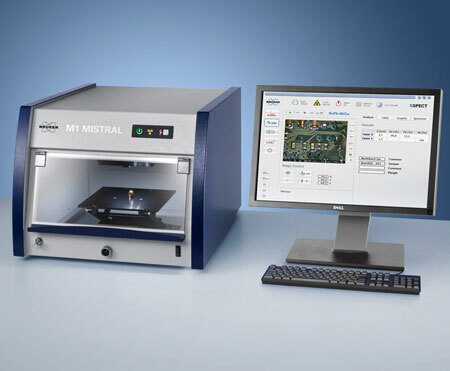 The Bruker M1 MISTRAL non-destructively analyses bulk materials and layers. A wide range of materials can be analysed, including metals, alloys and metallic layers, as well as multi-layer systems. 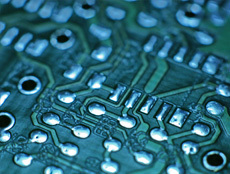 Application areas include electronics, jewellery, RoHS (Restriction of Hazardous Substances), automotive and many more. Samples are simply placed directly on the sample stage, with no preparation necessary. The contactless measurement is taken from above, so irregular shapes, such as finely wrought jewellery and materials of varying thickness can all be analysed easily. Highlighted below are just three examples of applications from the myriad we have tested, please bring us your challenge. The high performance version of the M1 MISTRAL can also detect trace elements in light matrices according to RoHS requirements. This enables direct control of hazardous element concentrations in electric and electronic devices. X-ray fluorescence technology can analyse thin coatings, eg on PCBs, metals or plastics, including both single and multi-layer coatings. Layer thickness and composition are calculated simultaneously, using a standardless fundamental-parameter based method. The M1 MISTRAL is ideal for the analysis of jewellery, coins and precious metal alloys. The exact composition of jewellery alloys, platinum group metals or silver can be determined in a fraction of a minute. 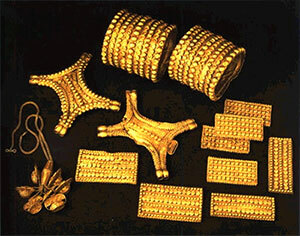 Results can be output either in weight% or Karat. Accuracy is better than 0.2 wt% for main element content in the range of 40 – 100 %.